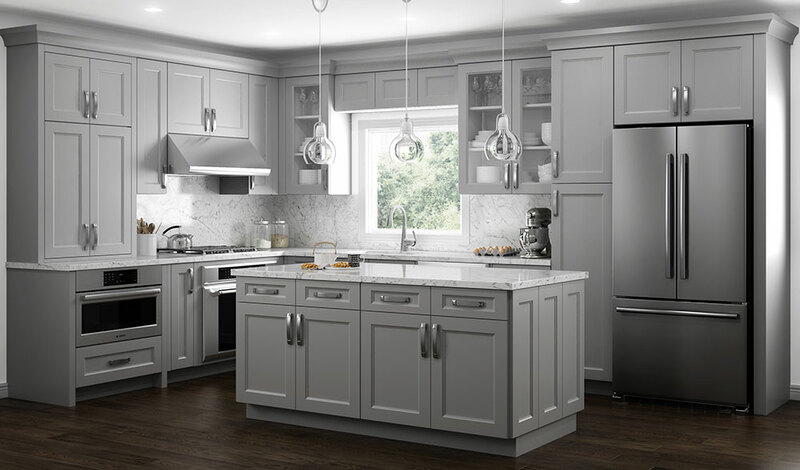 2018 is already here and we’re looking back on the trends we saw in the cabinet industry last year. We’re taking some time to reflect on the trends we’ve enjoyed – from pops of color to innovative storage, we’ve created incredibly crafted cabinets. This year was a time for experimenting with design and color. Whether we were adding bright-hued dishes or piece of artwork above the sink, we had the power to bring our kitchens to life the way we wanted. Backsplash with a colorful pattern or design behind the stove was one of our favorite ways to execute this design. The days of a cupboard here and there to hide pots and pans in was long gone. There was an abundance of innovative designs, creating storage customized to any home or need became easy. 2017 allowed everything to have its own space with just the right dimensions. We saw more and more cabinets that exuded modern and effortless when hardware-free cabinets became a trend ever growing in popularity. More homes had the touch of smooth cabinet doors with either simple push-close or click-into-place close methods. It seemed everyone wanted to bring in an industrial aesthetic and they added large, silver farmhouse sinks to do it. We saw that any style could have an updated-modern edge with the touch of these industrial design touches. We’re looking forward to seeing what 2018 trends will be. Newer PostDO YOU REALLY WANT PARTICLE BOARDS?